For those who are fans of Richard Ayoade (The IT Crowd) you know the thought of 'Moss' traipsing around the world is hilarious...Thanks to Channel 4, this has become a reality! Taking a cue from his successful (and equally hilarious) show The Gadget Man, they have simply replaced gadgets with travel destinations to create a new show - The Travel Man! With his irreverent point of view of travelling and travellers mixed with a partner in crime (a different celeb friend in each one) the outcome is great new view of places like Istanbul, Morocco and Turkey. Breakfast is the most important meal of the day remember! This may sound controversial, but remember this 48 hour itinerary is completely biased to our tastes...you're on holiday, so why not start the day with Churros and Chocolate? It's respectable to have a pain au chocolate for breakfast, it's not uncommon to have a hot chocolate, so why is this any different?!? Thankfully you are in a gastronomical hotspot so there are plenty of other options too! Start the day with a stroll around the Gothic Quarter. You're going to marvel at the modern architecture for the next 48 hours and when we travel somewhere, we always like starting from where it began - Old Town. While Barcelona doesn't have an Old Town in the traditional sense, the Gothic Quarter (Barri Gotic) is you can get lost in a maze of narrow streets and where the city was founded. It is also here where you can see the city's cathedral. That's right, Gaudi's masterpiece is not a cathedral! This cathedral is great to start your visit with as it is a traditional gothic build, but already with weird animal gargoyles which you will later see lots more of when you visit the Sagrada Familia. Around the corner is Placa del Rei where Columbus brought his treasure (and 'others') from the New World to show Isabella and Ferdinand and you can imagine with the square and balcony what the scene would of been like. In a more sombre square nearby is Plaça de Sant Felip Neri where the walls still hold bullet scars of where General Franco lined up kids and teachers in front of the firing squad just for speaking their local Catalan dialect than his version of Spanish. Just a short walk from the Gothic Quarter is the world famous Mercat de Sant Josep de la Boqueria, more commonly known by its simpler name of La Boqueria. Every time we go to a city, the local market is a must-visit. Not only do they generally showcase the best local produce, they're usually cheaper too! This market is filled with traditional food from Catalan and Spain with little dining areas surrounded by a more traditional market selling fruit, veg and treats. There's nowhere better for your first lunch. After your tapas lunch at La Boqueria, take a walk down La Rambla towards the Christopher Columbus Monument. If you're not scared of heights or tight spaces, go up the column and take in glorious views from the top. 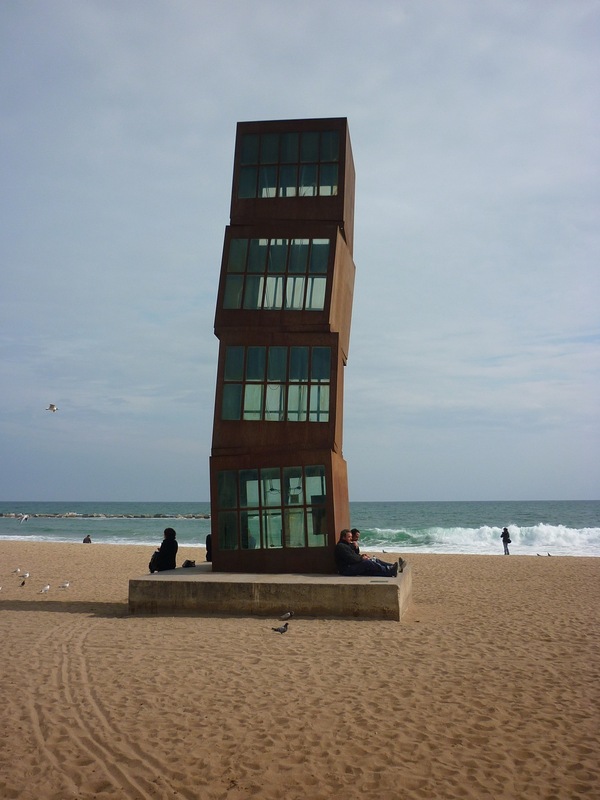 Afterwards, keep walking along the waterfront towards Barceloneta. Stop along the way at one of the cava caves you walk past to have a taste (and tapas, of course!) before you hit the sand. This is one of the things that makes this city stand out from others - a beach just minutes from the centre! Be sure to stop and check out the sand artists on the beach! The nightlife in Barcelona matches the vibrancy of the city. There are loads of articles out there on the internet showcasing the biggest/coolest bars and clubs so we're just going to tell you about one of our favourite and most unique bars. Our recommendation is a TINY bar called Bar Pastis. Located in the Raval area, it is decorated like a post-war Marseilles hangout and hasn't changed since it was founded in 1947. With Edith Piaf and accordion music being played, there is no bar with a better atmosphere. A perfect place for a pre or post dinner drink. Bear in mind though, if a band is playing, it can be crammed and VERY hot! After having a breakfast in his park, head towards Gaudí's other works. There's his two apartments Casa Milà and Casa Batlló as well as Sagrada Familia, all of which you would have seen and heard lots about. One of Gaudí's other works is the Church of Colònia Güell - one of his more obscure pieces of work and a real hidden jewel. It was created for the mill workers in the forest and incorporates a factory, residential area and church crypt. 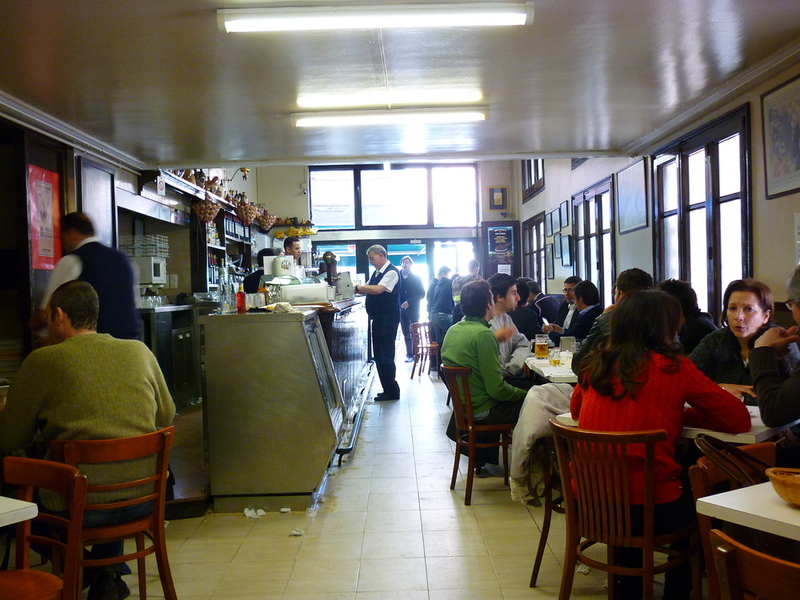 Barcelona is home to one of our favourite lunch spots in Europe - Bar Tomás in Sarrià. We were taken here by local friends and it didn't disappoint. 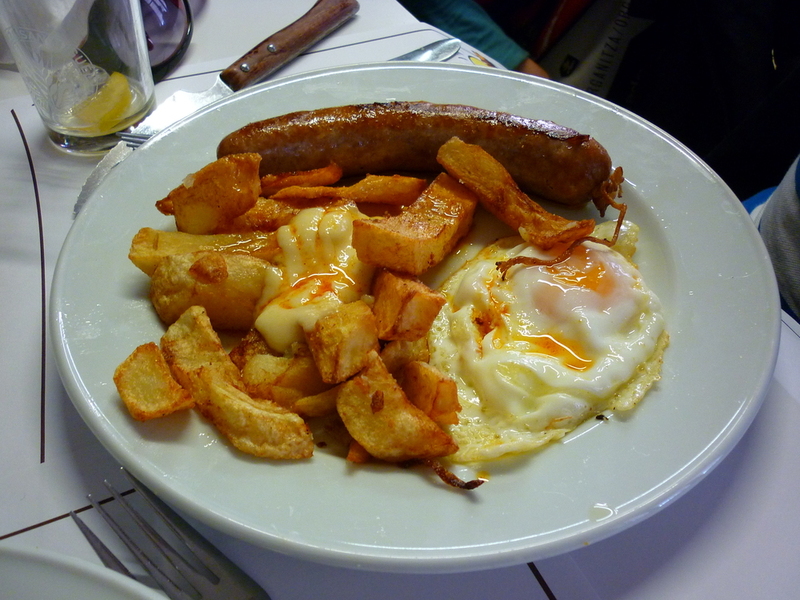 Known for their Patatas Bravas (BEST we've ever had) it's a real hit with the locals and very inexpensive. If you think Patatas Bravas is just potatoes and a ketchup-mayo sauce, this place will blow your mind with the flavours! Maybe a little left field, but if you can, a great way to finish off your 48 hours in Barcelona would be to visit Mount Tibidabo. You can get a bus there from Plaza de Catalunya and then get the Funicular de Tibidabo to the top where there's an amusement park with great views of the city. Built in 1889 it has a naturally retro feel to it. Make sure you jump on the ferris wheel and plane that gives you amazing views. St George's Day is also celebrated in Barcelona (known by the Catalan name Sant Jordi) as he is the patron saint of Catalunya - the autonomous community in Spain that Barcelona is capital of. Traditionally on this day, the men give women a rose for love and in return receive a book. 48 hours is of course no where near enough to immerse in the city and truly experience the culture, but if you follow these steps, we think you're doing a good job! Have you been to Barcelona and done some of these things? What are your tips for 48 hours in Barcelona? Barcelona is one of the most popular cities to stay in Europe with it's mix of cultures and lifestyles. Why not become an honorary Catalan and Learn Spanish in Barcelona with us?